Yunnan province continues to upgrade its tourism options with apps, 'smart toilets' and improved farmhouse visits. Xu Lin and Li Yingqing report. Visitors to Yunnan can not only use a phone app to locate restrooms but also to know the stall and urinal availability, air quality and temperature of the province's "smart toilets". 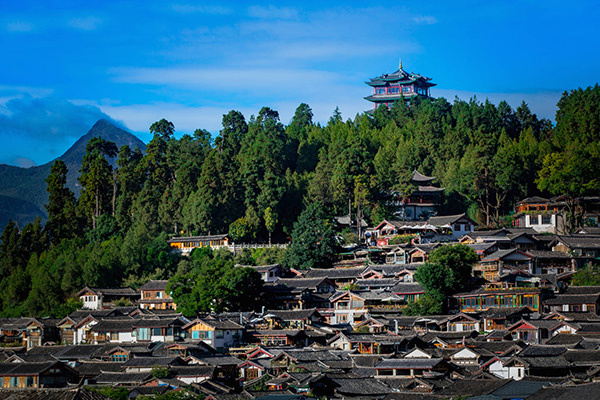 The app Youyunnan, which literally means "traveling in Yunnan", is part of the province's push to advance smart tourism to upgrade the sector in ways that contribute to ecological-civilization construction and rural revitalization. It was released on Oct 1, 2018, which is the first day of the annual, weeklong National Day holiday. App users can check the number of tourists at each attraction in real time, watch livestreams in scenic spots and purchase discounted entrance tickets. They can also be assured of the travel agencies and services found on the app, since they've passed quality assessments to be included on the platform.